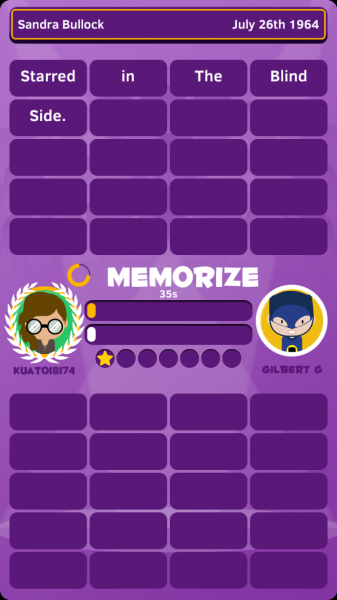 RECALL: The Memory Jogger (Free) by Kuato Games is a fast-paced social trivia game that will help test your memory and improve it over time. If you liked games such as Rules! and Dizzy Fruit, then you will appreciate what Recall has to offer. Like everyone else, I think my memory is pretty good, as I’m usually able to recall small details and events that occurred not that long ago. My long-term memory is also pretty good, unless I just completely blank out on something. But of course, this is all just my perception of myself — I probably don’t have as great of a memory as I think I do, much like the rest of the population. 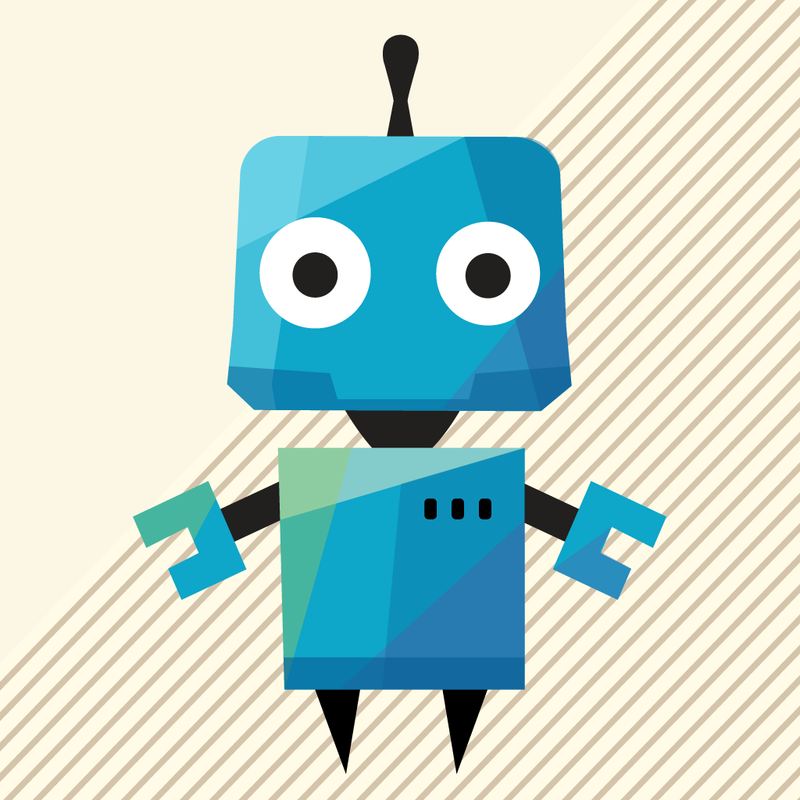 So when I came across Recall in the App Store, I was intrigued. 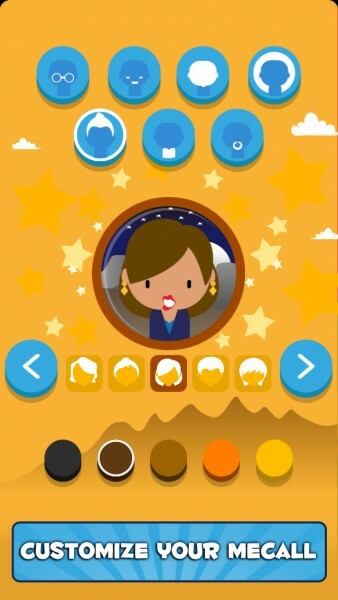 This is a trivia game that isn’t about the trivia itself, but your memory. The visuals in Recall are colorful and eye-catching, which helps draw you in to the game. It carries a certain cartoonish look and feel to it, which I enjoy, as it adds a splash of personality and charm to the game. The background colors are bright and vivid, and I love how you are able to customize your own avatar to use in games against other players. The animations in Recall are smooth and fluid, so I had no lag on my iPhone 6. There is also a soothing, ambient soundtrack that is a delight to listen to, and could help you buckle down and focus on memorization. The sound effects are quirky and fun as well. The game has a tutorial on the first launch that will explain things to you. 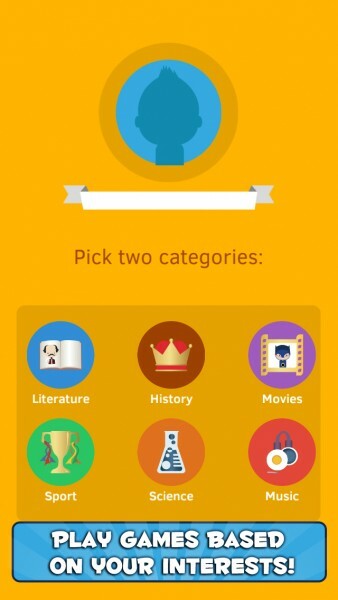 You can pick two categories for topics in your games, including: Literature, Movies, Music, Science, and more. 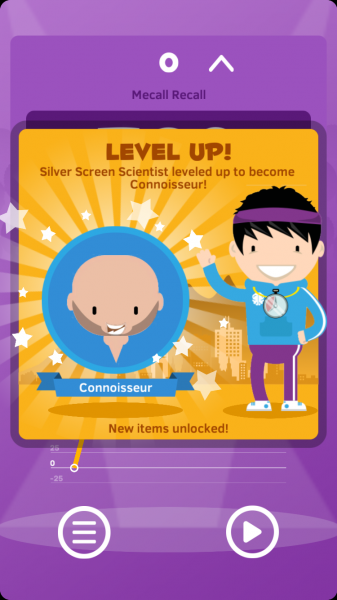 Then you are off to customize your avatar to look how you want to look — more items can be earned by playing and leveling up. 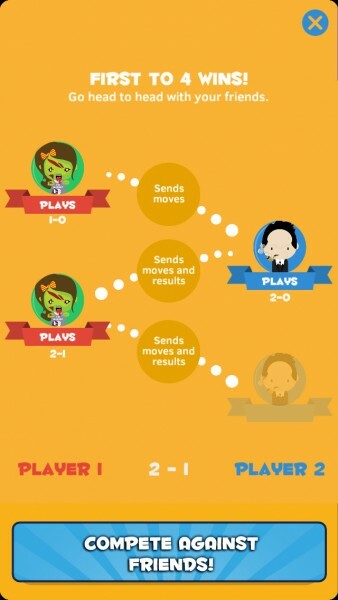 There are two ways you can play in Recall: Playing Online or Play against an AI opponent. 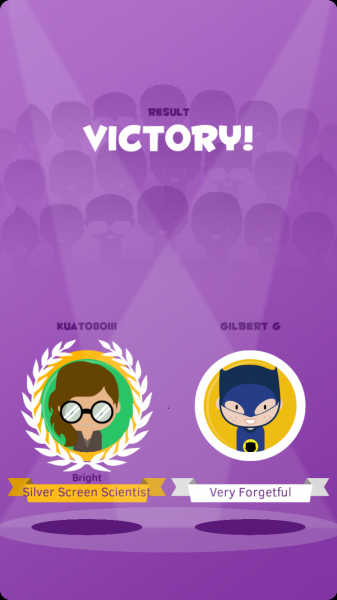 Online rounds are played through the game’s network, and you can also link the app up to your Facebook account to challenge friends. Regardless of which route you go, the game will randomly find an opponent for you, so it may be a foe of great skill, or a forgetful one. 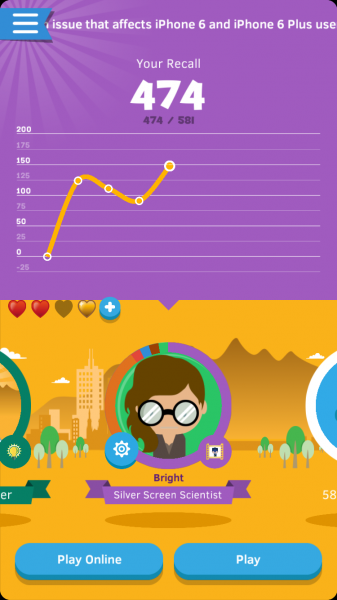 If you lose a game, you lose a heart — this works like the energy system that is found in most freemium games nowadays. Games in Recall follows a single formula, regardless of the chosen topic, and consists of seven sections. You start out with a list, then you’re given some random trivia facts about the items, and then the list is sorted in the appropriate order. 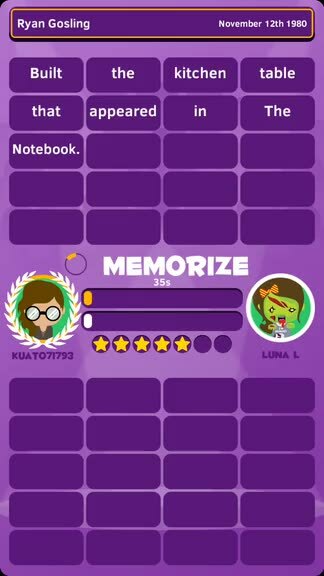 Each step gives you a certain amount of time to memorize the list or sentence, and then you need to tap on the items in their same order. The faster and more accurate you are with the tapping, the better, since it’s a race against the clock — quick thinking is required! 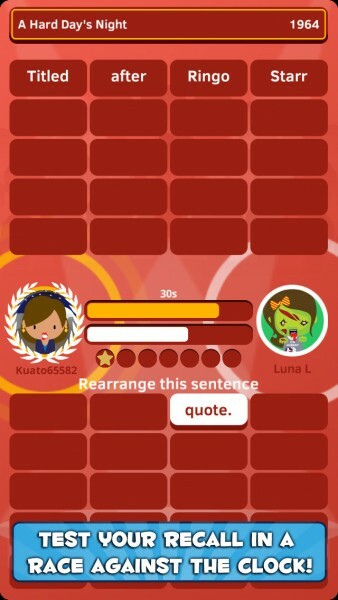 If you are not precise, a short timer appears on an item before you can tap it again. When you get one of the fact sections before your opponent, there is a bonus question to answer that can get you an extra heart. As you play Recall, you will earn a “Recall Score” that is an average of how well your memory has been while playing the game. 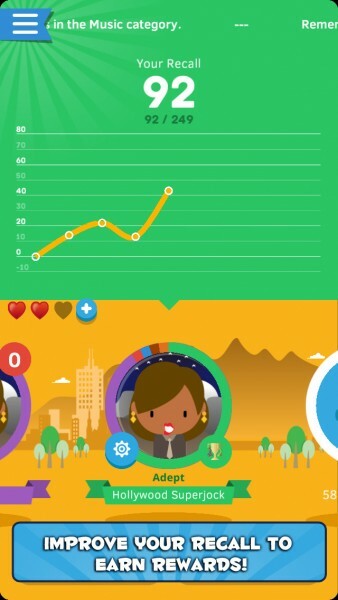 The higher your score is, the more content and rewards you’ll earn. 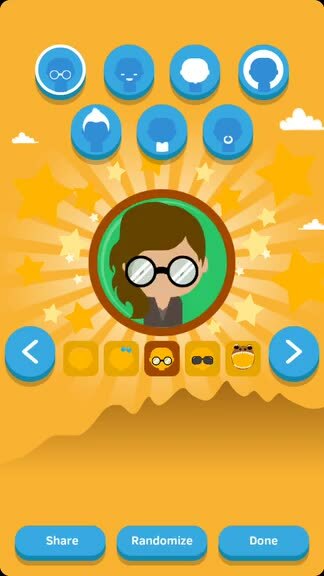 You can even challenge the “Memory Jogger” character daily to help improve your performance each day. This is a quick test that gets your brain going. 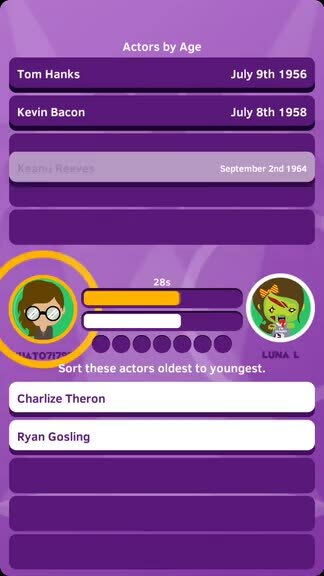 I’m usually not big on trivia games, but I am enjoying Recall so far. 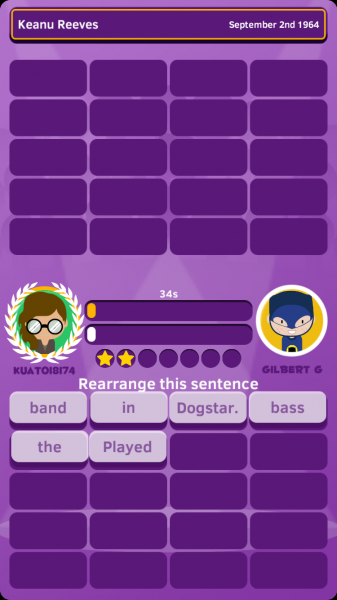 It’s trivia without the trivia, and a fun way to test your memorization skills. 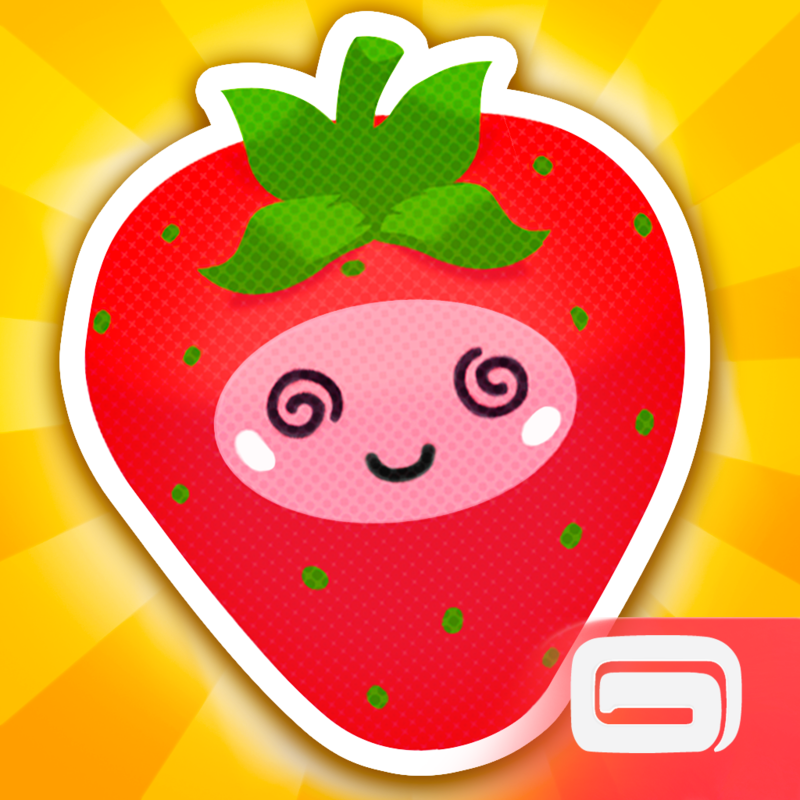 The graphics are fun and there is a lot of content to unlock and customize. I just wish the video ads that appear every now and then weren’t so obnoxious. 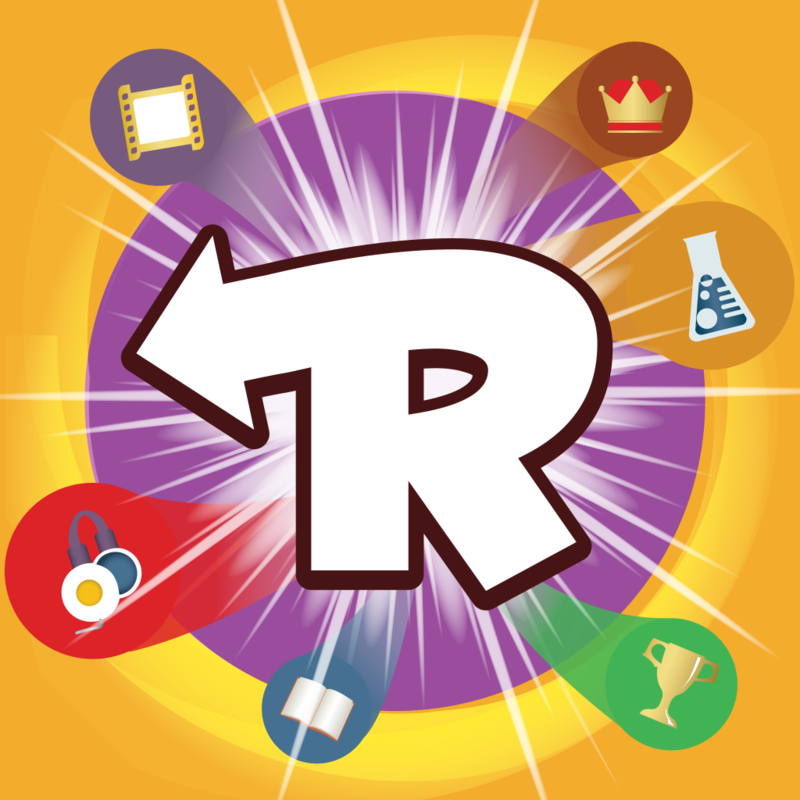 I recommend checking out RECALL: The Memory Jogger if you enjoy memory and trivia games. You can find it on the App Store as a universal download with in-app purchases.